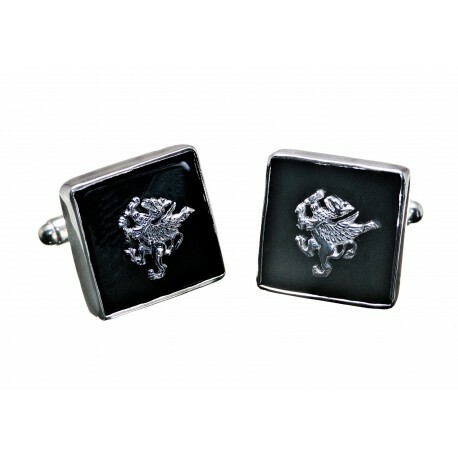 Griffin cufflinks featuring genuine black onyx overlaid with sterling silver heraldic griffins set to sterling silver 925. Heraldic noble beast, griffin cufflinks overlaid in sterling silver 925. 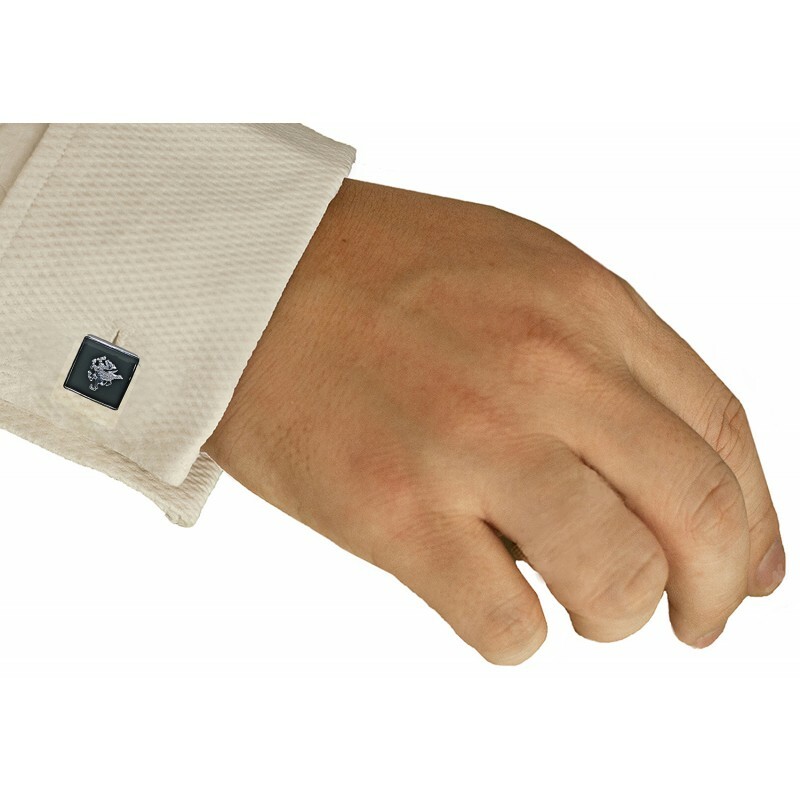 They are very smart and suitable for day or evening wear. A perfect and very masculine gift especially for those of you who love and understand heraldry. 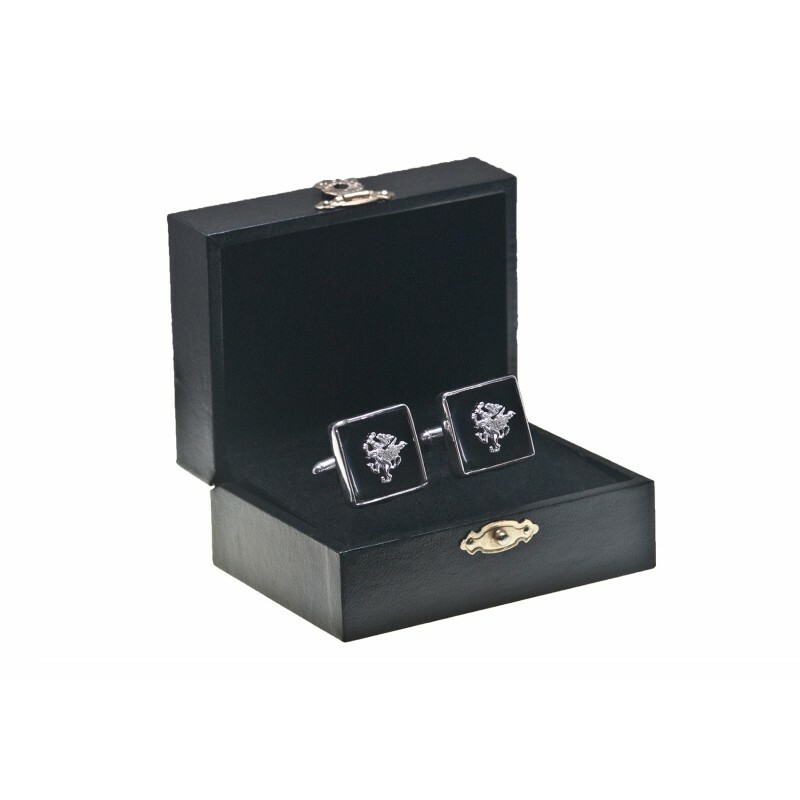 The handmade squares of black onyx are mounted to sterling silver easy-fit swivel attachments. They measure 18 x 18 mm (11/16 x 11/16 inch). 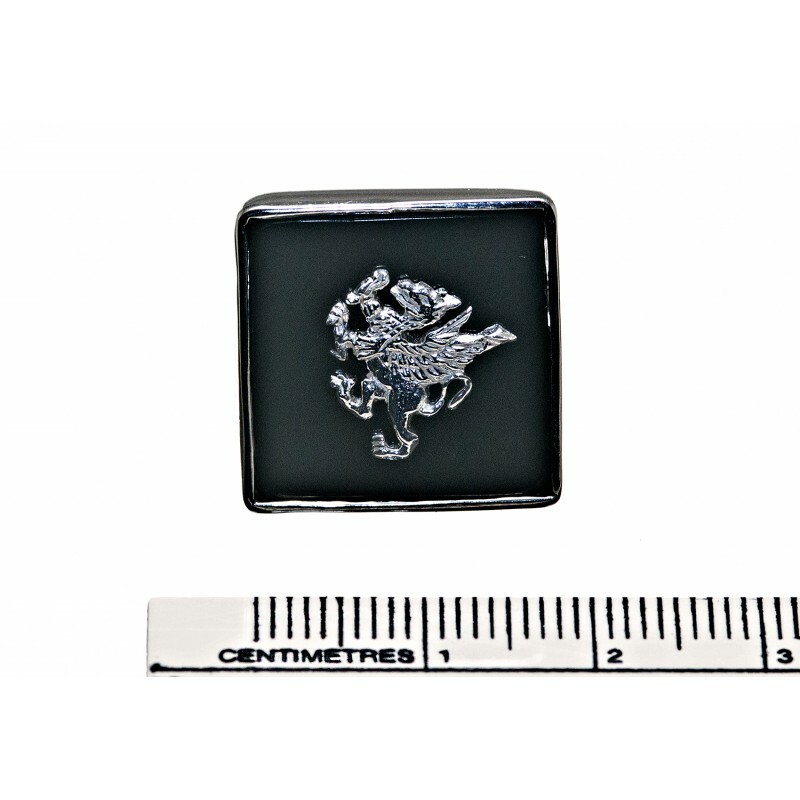 That's why these high quality handmade Griffin black onyx cufflinks are so affordable.